Rhus coriaria is also known as sumac or sumach. You consume the purplish-red fruits, which usually are sold dried and ground. You'll find it as a supplement in tablet or capsule form. 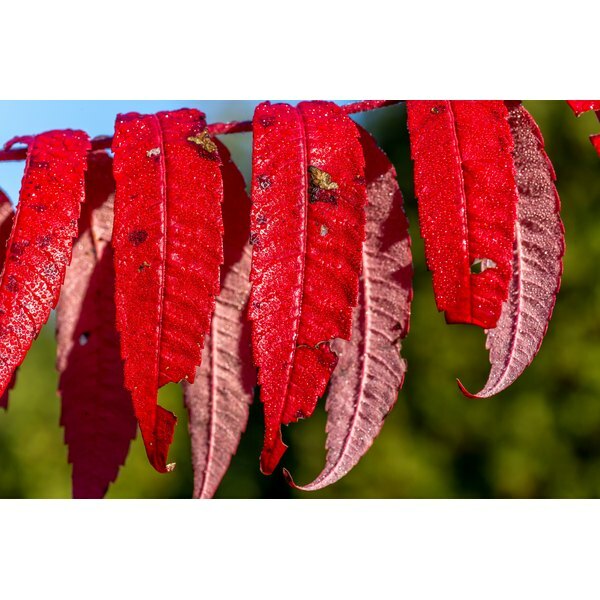 The theoretical health benefits from Rhus coriaria are as an antioxidant, antifungal agent and antimicrobial agent. Always consult a health-care provider before trying a new health supplement. Rhus coriaria has strong antioxidant activity against cell-damaging free radicals, say F. Candan and A. Sökmen, authors of a 2004 study published in “Phytotherapy Research.” Antioxidants work by helping to neutralize free radicals, which contribute to health problems such as cancer and heart disease, and also contribute to the aging process. The antioxidant effects of Rhus coriaria appear to be dose-dependent, notes M. Ozcan, lead author for a 2003 study published in the “Journal of Medicinal Food.” However, both of these studies were done in laboratory settings, so more research is needed to see if Rhus coriaria will provide a benefit to humans. The seeds of Rhus coriaria may have antifungal action that is effective against the human pathogen Aspergillus flavus, according to O. Singh, lead author for a 2011 study published in the German bioscience journal, “Zeitschrift Fuer Naturforschung.” Aspergillus flavus causes a lung infection called aspergillosis, and most often affects people with weakened immune systems such as AIDS sufferers and chemotherapy patients. Invasive pulmonary aspergillosis is the most serious aspergillosis infection. This infection may affect any organ in your body, including your lungs, heart, kidneys and brain. Fever, chest pain, cough, shortness of breath and joint pain are common symptoms. Outbreaks are most commonly associated with renovation or construction activity around hospitals. Rhus coriaria may have antimicrobial activity that can combat Salmonella typhimurium, says G.T. Gündüz, lead author for a 2010 study published in the “International Journal of Food Microbiology.” Gündüz studied the effects of Rhus coriaria on tomatoes infected with salmonella. Treating tomatoes with a water solution that contains 4 percent sumac extract considerably reduces salmonella on the tomatoes. This treatment works significantly better than washing tomatoes with clear water, regardless of whether tomatoes are washed for five minutes or 20 minutes, the study found. Oregano oil works equally as well as sumac, Gündüz notes. The study concluded that sumac or oregano oil solutions may enhance tomato safety without compromising their quality attributes. While studies on Rhus coriaria’s antioxidant, antifungal and antimicrobial potential appear promising, most of these have been conducted in laboratories. That means benefits to humans as well as possible side effects and interactions with medicines are not well studied. Rhus coriaria is part of the cashew family, so avoid it if you are allergic to tree nuts. Ornamental varieties of the Rhus genus are highly toxic and cause a poison ivy-type rash, so never touch or consume them.